It’s stating the obvious to say that your pet’s health is really important. Just like their human companions, this includes mental health and stimulation – this last is really important in helping alleviate common problems for dogs such as loneliness, separation anxiety and boredom / lack of mental stimulation. There is an ever growing choice of tech solutions and apps available to help in these increasingly important aspects of caring for your pet. These typically fall under the five headings below. We have included a brief overview of a couple of market leaders in each category. Pet Sitting, Doggy DayCare, Dog Walking, Dog Boarding. 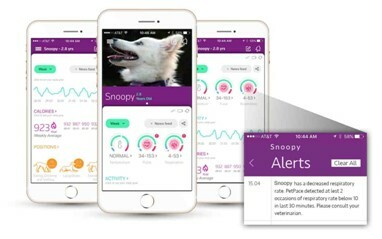 Dog Fitness/Activity Monitors & Health monitoring Apps. Rover.com is the largest network of Pet Sitters and Dog Walkers in the USA. Services also include in-home Dog Boarding and Doggy Day Care. Rover and competitor Dogvacay recently joined forces. Users can receive photo updates from their sitter directly to their phone. These can range from how they access food and treats to automatic/interactive ball launchers to games or puzzles. These Irish-made colourful toys are designed to utilize your dog’s natural instincts to hunt and work for food, challenging them to unlock the high-value treats placed inside. 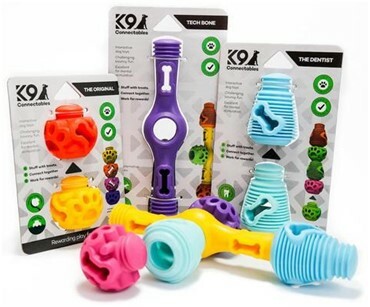 The combination of shapes and sizes available means that you can increase the difficulty level as your dog gets better at the game by connecting more and different toys together. 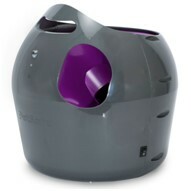 This comes in three versions, with prices ranging from $39.95 to $199.99 plus shipping. For small dogs & small spaces. These are especially helpful in dealing with anxious dogs and/or separation anxiety in a dog. As a standard, these allow 2-way audio to talk to and hear your pets. Some include a subscription element. Owners can see, talk to, and play with pets in 1080 HD (including with night vision). 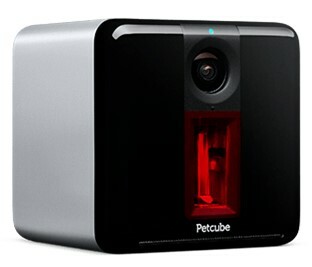 Petcube play – interactive pet camera that lets you see, talk to, and play with your pet. $199.00 (device only, see below for optional subscription add-on). 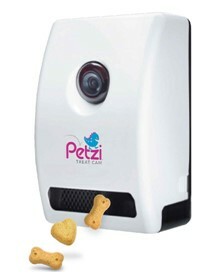 Petcube bites (dispenses treats) $249.00. These do pretty much what they say on the tin, recording activity levels, distance, calories burned…. Some go including scheduling Vet appointments, sharing information with your Vet, dietary recommendations…. 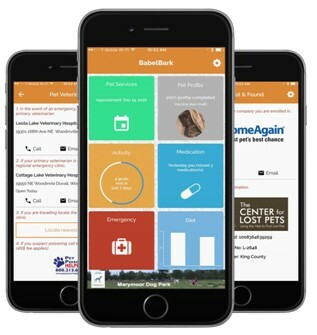 BabelBark is a mobile app and software platform with intelligent cloud analytics and marketing tools that connects owners, their dogs, veterinarians and pet businesses/pet service providers. The Pet Widget “Badge” is an NFC & QR code-enabled intelligent pet ID tag, which is linked to pet profiles created in the Pet Widget app and stored in the cloud. If your pet gets lost, the person who finds it can scan the Badge with their smartphone. Pets’ information can be accessed 24/7. 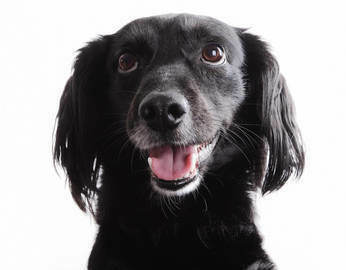 Users retain full control of information publicly presented in pets’ online profile. Badges look like keychains that go on the dog’s collar. 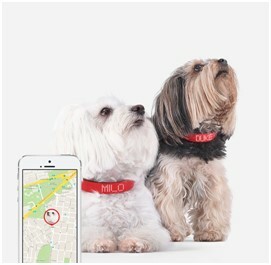 Kyon is a GPS location tracking collar that communicates with you and notifies you of the exact location of your pet. Battery life up to 30 days. Sense technology determines your pet’s mood and tells if your pet is hot or cold. Water sensor alerts when your dog is in danger. Ultrasound is emitted from collar to stop your dog from barking. If you'd like to support what we're doing please follow & share!